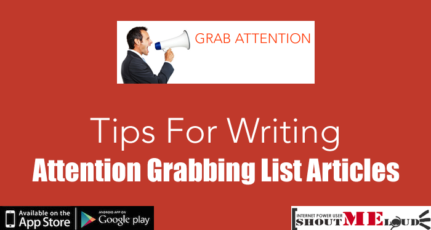 In my previous article, you must have read about the benefits of writing a list post. Now I think its time to show how to write a list post that goes viral. First, I would like to mention the three steps involved in writing a list post and I will also show an example of writing a simple list post. Don’t forget to see the results, as the list post will be loved by many of you. 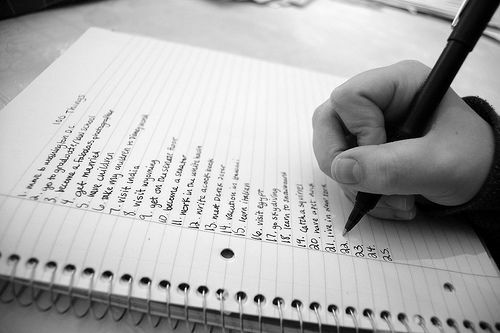 The first and foremost requirement for writing a list post is to collect the data of the list you are going to make. This is a time taking process and you need to spend a lot of time on research if you need accurate results. Take help of various sources in getting your data and see that you get true statistics instead of made up data. If you want to write a post on the top 5 most visited social bookmarking websites of the world, you need to search for their Alexa ranking, Compete ranking, Quantcast ranks, etc. In general, Alexa ranking is the most preferred. If you are making a list of the most useful WordPress Plugins, go to the WordPress Plugins site and search for the most downloaded plugins and collect the data. This is the most important step in writing a list post so spend ample time in collecting the facts. Don’t worry, your hard work will not go to waste. After you are done collecting the data, you need to organize them. You must rank the data in an order – ascending or descending. If they are just facts, you need not rank them. However, if it is a top 10 sort of list, then based on the ranking criteria you collected it on, arrange them in the form of a list. If they are a list of blogs or websites, you need to provide a backlink. If the outgoing link is trustworthy, it’s alright, but if you are unaware of the site, don’t forget to add rel=no follow to the links. Read the below articles for a better understanding. For internal links of your blog, there is no need to add no follow links. After preparing the list, give the post a proper eye catchy title. This is what makes the user or the search engine land on your page. Now you need to build the article by giving some introduction as to why you made the list and the ranking factors you used to determine the list. After the list, write a few words about the items used in your list. If your list is about WordPress Plugins and if the list contains the Yoast Plugin, you can simply write Yoast Plugin is created by Joost de Valk and so on. After finishing writing the body of the article, write a conclusion. You can also conclude by stating a call of action like subscribe or like or share the list. You can also ask your readers if the list requires any further additions or modifications. That’s it. Your list post is all ready to go viral. Now I want to show you an example of writing a list post. I want to write a post – List Of Top 10 Contributors For SML. Read below on how I follow the three steps mentioned above to make a list post. 1. I would collect the data of various authors from SML in a random fashion. For example, Harsh Agarwal -1203 articles, Whiztechy – 85 articles, Rajesh Patel – 10 articles, Srivathsan G.K – 12 articles, Siddie – 45 articles, Mukund – 35 articles, Vinayak Nagri – 17 articles, Rajat Kumar – 22 articles, Himanshu – 25 articles, Shoaib Hussain – 10 articles, Baby Brownfox – 9 articles, and Yousuf Khan – 9 articles. I surfed the SML blog and used the custom search box to gather this data. 2. I will then organize the data collected above in the form of a list by arranging the names in the descending order of their post counts. Since I am making a list of the top 10, I would omit the names which fall outside the 10. I will not delete the extra data I collected. Instead, I will use it in the third step. I will also give a hyperlink to their author page so that people can visit the link and know that I have provided the correct data. 3. Third step is to give the article a proper title and build the article with necessary elements. Introduction: ShoutMeLoud is one of the best How To… blog guides available in the web space. Today, I want to mention the top contributors who have made SML what it is today. Without Harsh, SML wouldn’t have succeeded but a few other authors like Whizytechy, Mukund, Sidde have added to SML’s success. I have ranked the contributors based on the total number of posts written by each of them. 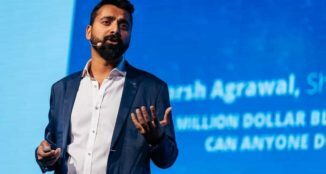 Body of the Article: Harsh Agarwal, also the founder of ShoutMeLoud, tops the leaderboard with over 1200 articles, followed by Whizytechy with 85 useful articles. Siddie is also one of the top contributors in the team who writes awesome tutorials on Facebook. Mukund stands fourth. 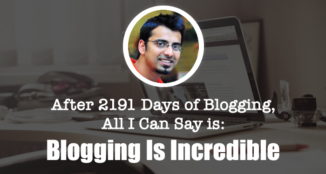 Himanshu, Rajath, and Vinayak are great bloggers too, followed by Srivasthav, Rajesh, and Shoaib. These are the top 10 contributors for SML till date. Conclusion: I hope now you have an idea of who are the top contributors in the SML team are. If you are a guest author for SML, I hope this gives you the motivation to contribute more meaningful and quality articles to climb up the leaderboard. Yousuf and Baby would have made the top 10 list if they would have written 1 article each, so hopefully, we believe we can see them next time when we redo the list. Do you also want to Write for ShoutMeLoud? Just follow a few guidelines and join the SML team. Hope this article has helped you in creating a list post and also inspired you to write a guest post for ShoutMeLoud. Are you planning to write a list post? Let us discuss ideas. 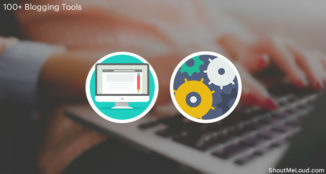 These days list post is the cool way that will help you to boost your blog traffic as well as most of the bloggers likes the blog posts in the list form. List posts are getting more popular now a days. Thanks for giving tips to write them well. Nice article vijesh your idea of collecting before writing a post is best.. i also collect all the data in my copy but don’t arrange them .. but from today i arrange all my data… thanks vijesh thankd for share..
Good to see you here. Well it is important to guest post in order to make some good relation and backlinks. You have written an amazing article. Thanks for the update. Would love to read more from you . Now a days the posts (list style) which grabs most out of it is the top most earning blogger type of posts . It creates lots of buzz as well as controversy which actually helps to gain popularity to the Blog .